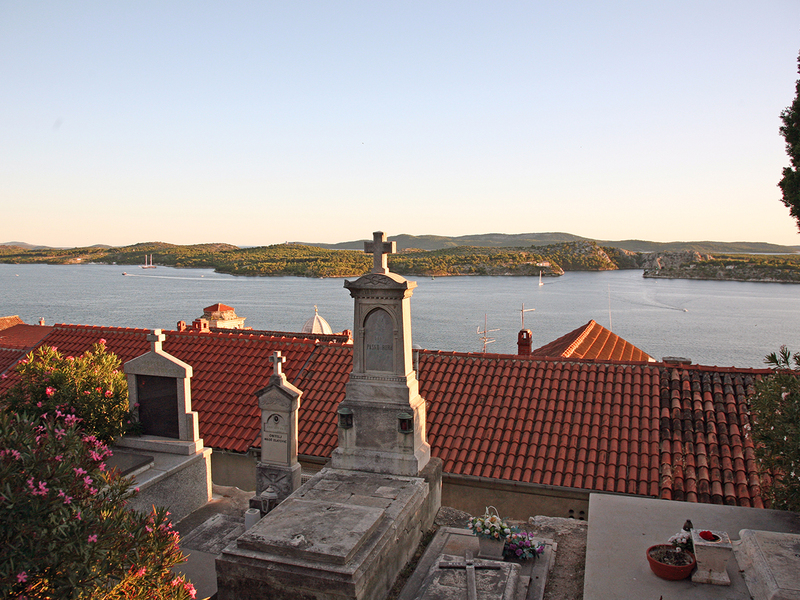 Lisa Perkovic went to Croatia to find her roots, and found Perkovic itself! Growing up I always felt a little bit different. The long, complicated last name, a Papa instead of a Pop and a whole side of the family I’d never seen a single photo of. There was a piece of my family’s past that was missing. My grandfather was just 19 when he walked away from his life. During the turbulence of the post WWII environment, he left his Croatian homeland with nothing, seeking political freedom, crossing the Italian border illegally in the dead of night. It was his second attempt to flee tyranny and torment, and he would go on to spend the next three years in an Italian refugee camp before finally setting sail for Australia. He would never see his mother again, nor many family members for decades. His story, of playing near land mines as a child, and ending up with shrapnel scattered through his legs, of struggling for food and facing no job prospects, is not something we have learnt easily. Bits and pieces of his past have been gleaned over the years – I learnt more about his past during a school assignment than my father and uncle had ever known. It was news to them that he picked fruit in Mildura before arriving in Sydney. For many years he had closed the book on his past, anglicising our last name, learning to play cricket, marrying my grandmother, and going on to raise two very Aussie boys. And so, desperate to learn more about where he, where we all, came from, I booked a trip to Croatia, more specifically to Šibenik, a small city one hour’s drive north of Split. Spending time in a city right on the edge of the Adriatic certainly had plenty of appeal, but rather than head to Dubrovnik, or Split, Croatia’s more popular resort towns, I wanted to see the spot where our stock started. I followed my roots, all the way to Šibenik. Just a few hours after arriving in the beautiful city, a few things started to make sense. I was told I had to stay with my Papa’s school friends, there was no question about it. They live in a beautiful stone house right in the heart of the historic old town, and within minutes I’d been told to “eat, eat” and had a dozen photos taken. The obsession with family photos and the constant feeding were classic Papa. Last names even longer than my own, with even trickier pronunciations, made me feel right at home. People with high cheek bones and wide foreheads. I honestly felt like I’d found my people! (And never met so many people who claimed to be related to me). Cousins of cousins descended on us. We visited the cemetery where the graves of my great grandparents rest, I’d never even visited a cemetery before but it’s a point of great pride among the locals to be able to provide a grand resting place for family. We climbed hills just to look down on the distant suburb where my grandfather had gone to school, and ran down to the grand town square where they had all played as kids. 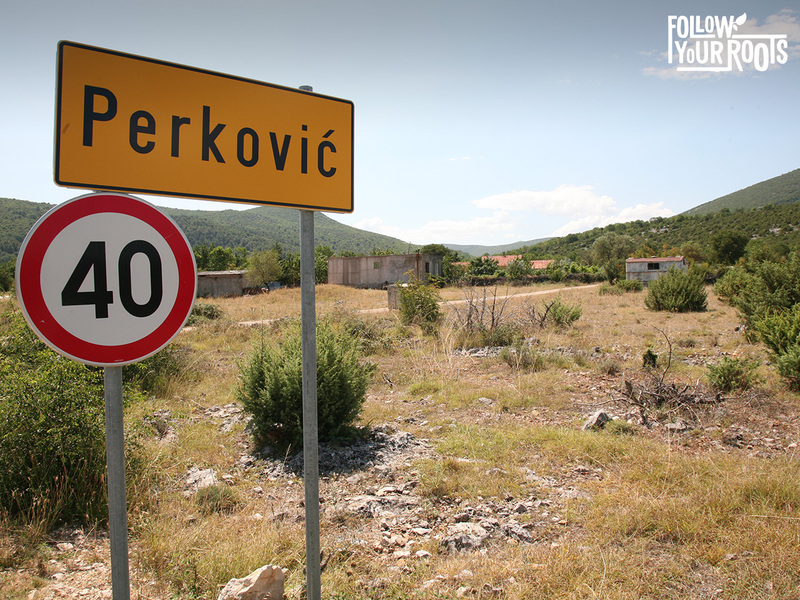 And then I learned there was a village called Perkovic! This really was like Christmas. A whole town named after us! Maybe there’d be a castle (I’d never heard of Croatian castles, but hey, it was worth a shot) we could lay claim to! It took days for me to convince my Papa’s friends to take me to Perkovic – apparently there was no castle, not even a post office. It was rubble they told me, the tiniest of tiny villages. But I persisted. And have the photos of the street signs to prove it. Yes, there were just a few humble houses, with geese wandering around the dirt streets, but I shook the hands of the locals, who scratched their heads and laughed at my curiosity. I felt even more connected to this place. My only regret is that I didn’t make more of an effort to learn some Croatian before I arrived. Being a quarter Croatian and returning to the Mother Land without knowing how to say hello is a little embarrassing! It’s also very hard to tell someone via sign language that you can’t possibly eat anymore!